Australian start-ups are losing due to visa changes made recently. StartupAUS Crossroads 2017 report, released on Thursday, suggests that start up communities’ growth is being restricted because of federal changes to working visas. Australia start up advocacy group StartupAUS, has released its fourth annual report, StartupAUS Crossroads 2017, which shows that the industry has had a record-breaking year. A record $1.32 billion was raised in venture capital in 2017. The report says that the industry is losing ground internationally because of the changes to rules for skilled migrants, particularly 457 visas. Scott Farquhar, one of Australia’s most successful tech entrepreneurs and founder of Atlassian, writes in the foreword of the report that his company employs more than 1000 people around the country and a quarter of them are on 457 visas. He says that when it comes to talent, we are falling behind. Australia scrapped the 457 visa in April this year. This program had allowed temporary foreign workers to be employed in Australia. The Prime Minister, Malcolm Turnbull, then explained that he wanted to put jobs and Australians first. The move, however, has proved costly for the industry as the report suggests. The report recommends that the skilled worker visa should be expanded to include digital skills and reflect start up needs. Major Changes in Regional Sponsored Migration Scheme (RSMS) VISA 187 – What It Implies For PR Aspiring Professional? Australia Needs Engineers – The Ever Growing Opportunities for Engineers in Australia and How It Affects You? Australia’s Medium & Long term Skilled Occupations list – A guide for applicants! 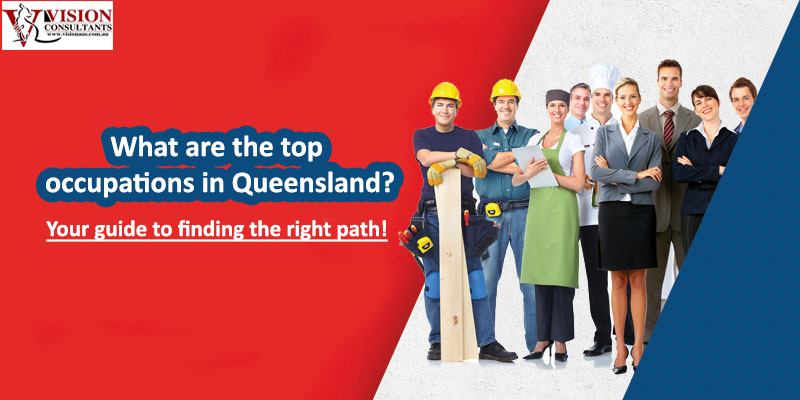 What are the top occupations in Queensland? Your guide to finding the right path!